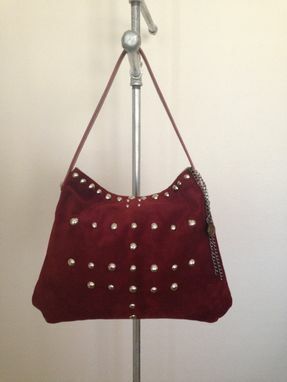 Vintage triangular boho design in wine colored suede. Fully lined in a genuine softy suede. Accented with leather strap and trim. Dome studding add a unique rocker flare.